If your application links have stopped working after a recent upgrade it's possible that your customizations to the application's server.xml file were overwritten. Custom changes can include reverse proxy configuration and HTTPS configuration. You should check that the upgraded server.xml file matches the pre-upgrade server.xml. If you have a internet-facing firewall, make sure to allow the IP range used by Atlassian to reach your internal network. 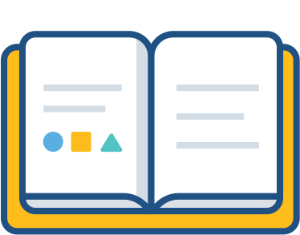 For up-to-date information on that, see Atlassian Cloud IP ranges and domains. Full integration between Atlassian applications, such as Bitbucket Server and Jira Software, requires a reciprocal (two-way) application link between the applications. Is the time and date significantly different between each machine? Consider using a Network Time Server to ensure all machines are in synchronization. 2-Legged OAuth with Impersonation (2LOi) is recommended when you require an application to use impersonation (such as Jira Service Desk); or when you wish to avoid the confirmation prompts when accessing information across applications. When using applications that require impersonation, such as Jira Service Desk. 11. ローカルおよびリモート アプリケーションはセキュア (HTTPS) 接続経由で通信していますか? If your instance has Project Links defined, these will be deleted along with the application link. They must be recreated after the application link has been recreated.